Hello crafty friends, Today is my day to share over at the Paper House Productions blog. I created a scrapbook layout and a card! I used the fun Southwest Adventure paper crafting kit. Here's my finished layout. 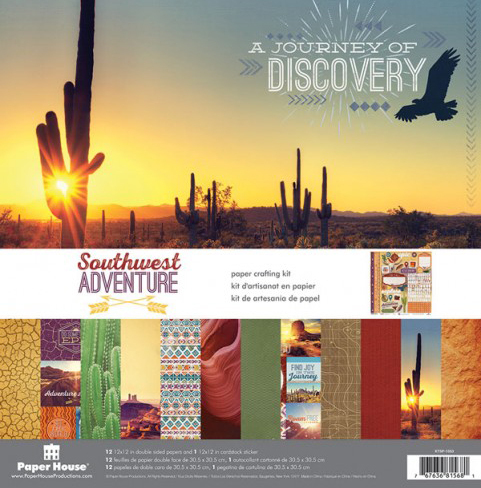 I used papers and elements from the Southwest Adventure paper crafting kit. The papers and elements were the perfect compliment to pictures of my beautiful niece Taylor. The papers in the kit also includes journaling cards of various sizes and with a variety of sentiments. 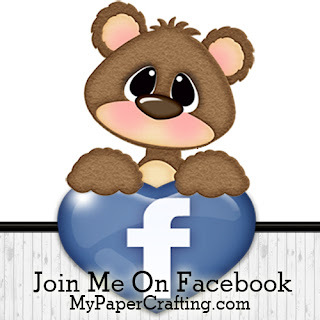 the paper crafting kit also includes a sheet of fantastic cardstock stickers. Here is one that I added a couple of flat back metallic pearls. Here is a closer look at some thick twine and some brads I used to wrap one of the patterned paper layers. Here is another cardstock sticker. I used some dimensional tape underneath it to give it some extra lift. Here's a look at my completed card. I once again used the Southwest Adventure paper crafting kit to create my card. All of the papers with the exception of the Kraft & peacock cardstock are from the collection. I love that the papers are double-sided and all coordinate perfectly! Takes the guess work out of it. Here is a side view to show you the various layers. I used some foam tape to give them some lift. Here's a closer look at the sentiment. It was created with stickers from the cardstock sticker sheet included in the kit. Here is another view to show all the fun dimension and elements. I created the cut file I used for the card and would like to share it with those of you that use and have electronic die cut machines (i.e. Silhouette Cameo, Cricut Explore, Pazzles, etc.). You can head over to the Paper House Productions Blog Post HERE to get the link. Be sure to head over to the Paper House Productions shop and pick up this amazing kit and many of the other new collections now available. 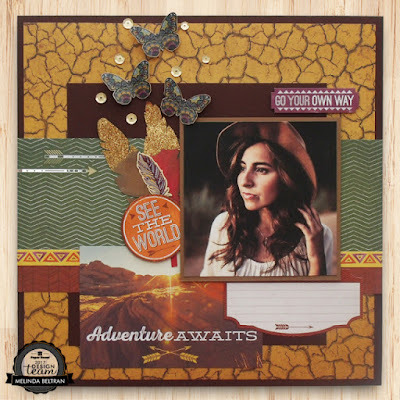 You can also check out the other scrapbook layout I created with this same kit! CLICK HERE.....Talk about mileage! Love the scrapbook page and the card! Thank you so much for the card file! 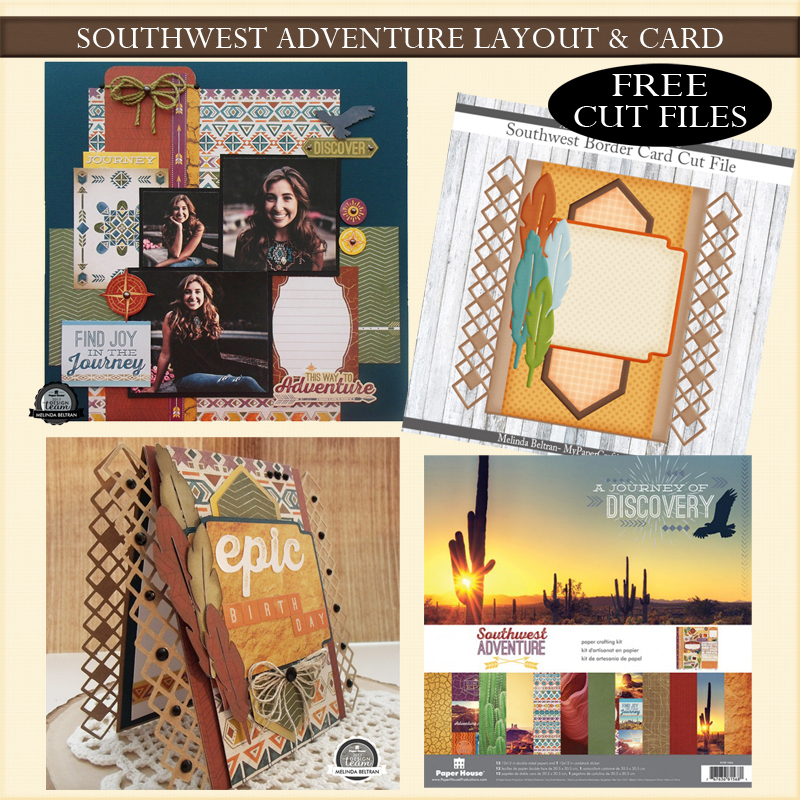 Love your scrapbook layout and that card is totally fabulous! Thanks so much for sharing the cut file for the card.